We looked at the top 10 Home Printers and dug through the reviews from 52 of the most popular review sites including PC Magazine, Trusted Reviews, Consumer Reports, PCVerge, Tom's Guide, Tech Gear Lab and more. The result is a ranking of the best Home Printers. Our experts reviewed the top 10 Home Printers and also dug through the reviews from 52 of the most popular review sites including PC Magazine, Trusted Reviews, Consumer Reports, PCVerge, Tom's Guide, Tech Gear Lab and more. The result is a ranking of the best of the best Home Printers. The HP OfficeJet Pro 8720 prints clean-looking text at just under 17 pages per minute, and it can print a glossy photograph in one minute at a 4x6 size. This easy-to-use model has a screen that is large enough to comfortably navigate, and the printer comes with apps that make for useful connectivity. DWYM Electronics Experts plus Consumer Reports, New York Times Wirecutter, Tech Gear Lab. Along with user reviews from Amazon and Best Buy.
" It prints very good photos on glossy paper that most people would be happy with. Photo printing was very quick, only 1 minute for a 4x6, costing 30 cents. It prints text very well, nearly as good as a laser..."
"Text quality is the Officejet Pro 8720's weak point. It scored a 3 in our text quality test, just 1 up from the low score of 2 and well behind the top score of 9. Text came out dark and..."
Ideal for a small office or a paper-heavy home business, the Brother Color Laser 8360 prints great text and has a high-yield cartridge that lasts 6,500 pages, while an additional paper tray option allows for things like business letterhead. This model is a workhorse that can still print fast color documents as well, and the touch navigation screen is large and easy to use. DWYM Electronics Experts plus PC Magazine, Tech Gear Lab, Consumer Reports and 1 more. Along with user reviews from Amazon, Best Buy and Walmart.
" The very well rounded HL-L8360CDW is a fast color laser printer with good output quality." "However, for anything short of a paper-heavy small office, the HL-L8360CDW will certainly be overkill." The HP OfficeJet 8710 is a well-rounded printer that can handle any copying, printing, scanning and even faxing that a home user would desire. This model can print glossy photographs, and scans or copies originals with very high detail. DWYM Electronics Experts plus Consumer Reports, PC Magazine. Along with user reviews from Amazon and Best Buy.
" Copying performance was excellent, producing copies very close to the original"
"Photos are a step below par for an inkjet MFP, but that's not a serious issue for most office use." This economical printer will scan, copy and print in color or black and white without breaking the bank. The software is easy to download and use, the navigation screen is fluid to work with and the overall user experience is a good one. DWYM Electronics Experts plus Consumer Reports, Digital Trends, Tech Gear Lab, PCVerge, Tech Radar. Along with user reviews from Amazon, Best Buy and Walmart.
" Scanning performance was very good, fine for general-purpose scanning. It can scan or copy an area up to 11.7 x 8.5 inches (letter size)." "As with printing, there is no duplexing with copying or scanning." We identified the majority of the home printers available to purchase. 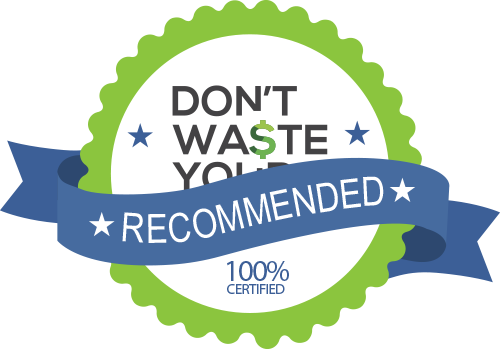 Reviews from our DWYM category experts and analysis of some of the most respected sources including: PC Magazine, Trusted Reviews, Consumer Reports, PCVerge, Tom's Guide. We also incorporate user reviews from the leading retailers including Amazon, Best Buy, Walmart, Target, Product Review and 5 others. If you think you’ll print a lot of photos, the 8720 is also eligible for HP’s Instant Ink program, which brings the cost of color pages (including glossy photos) to under 5 cents. Scanning performance was very good, fine for general-purpose scanning. It can scan or copy an area up to 11.7 x 8.5 inches (letter size). Despite having a fairly small screen, we found navigating all of its various functions quite intuitive and easy. This printer uses two ink cartridges (black and tri-color), which helps keep the manufacturing costs down since the tri-color cartridge ahs cyan, magenta and yellow inks. The Canon Pima MX492 is a budget printer that has one specific use case. The multi-color ink cartridge must be replaced when a single color runs out. As with printing, there is no duplexing with copying or scanning. The text it produced was very bold, but the edges tended to be quite splotchy and lacked crispness. However, the approach increases running costs since when one color in the tri-color cartridge runs out, you’ll need to replace the cartridge before the other colors are depleted. Unfortunately, this device isn't NFC compatible, so you won't be able to one-touch print like you can on more expensive Canon machines. It also doesn't have a touchscreen, which isn't necessarily bad considering Canon printer touchscreens are annoying. Whether you are working from home, running a small business or simply hoping to have a document that you can read without staring at another screen for long periods of time, you will soon find yourself looking for a printer that can handle your specific needs from the comfort of your own home. Printer technology has grown a point where you can easily find a relatively small printer that suits the needs you have, and the printing needs of the at-home user can generally be broken down into a few main categories that can really help to figure out which features are right for you. Size might be something to keep in mind when looking for a new printer. A small printer will often be about a foot tall and have a footprint of something near 1.5 feet by 1.5 feet, but this varies by model. Some designs allow for the printer to fold up into a smaller footprint for storage (think of the paper tray folding up to save yourself about 6 inches of space at the front), and other units will have a dedicated size that takes a little more space but has fewer moving parts. You will maybe find yourself wanting to print from your computer with a hard-wired connection for simplicity, but modern printers offer a great selection for wirelessly connecting to your devices. You can use apps that allow you to print directly from your phone or tablet, you can use a printer to print directly from a cloud storage program so you don’t even need your document file handy and you can easily set up your printer to laptops and computers around the house so they can print through Wi-Fi or a Bluetooth connection — there are quite a lot of options. Printers can print in color, but some still print in black and white only. Laser printers are known for having great font quality, so text documents look very clean and professional when produced by a laser printer. These same laser printers can often produce a good quality image in color on regular paper, but they won’t be able to produce the photograph-quality images that an inkjet printer can. Inkjet printers can print on a wider variety of materials, though they generally will have a higher unit cost for toner. Even so, this option is ideal for someone wanting those glossy photographs, and you’ll find yourself saving some extra money by printing these at home and not in a store. The first recorded printers in history can be traced back to nearly 3500 BC, but they acted more like what we think of as stamps. Printer technology grew tremendously from that point until 1981, when the first printer was created for the intended use of printing documents from one single computer. This innovative product came at a price of $17,000! Start with a realistic idea of how you plan to use your printer. Only you can truly figure out what you think your needs will be, and this could be a huge step in determining which model to purchase. Are you running a business, or simply printing a few documents here and there? The typical at-home user will want an all-in-one model that can scan, print and copy to their desired quality levels. One distinction you will likely need to make is if you plan on using color for your printing needs, or sticking to just black and white. The Brother Color Laser 8360 is a good example of a no-nonsense printer that will provide high-quality text documents at a very efficient printing rate of 33 pages per minute, pulling toner from high-yield black and color cartridges that will each put out a whopping 6,500 pages before needing replacement. If you think you will more likely be using your printer to produce high-gloss photographs, you’ll want to consider a printer like the HP OfficeJet Pro 8720, which prints a 4×6 photo on glossy paper in just one minute. Be sure to look at the dimensions of the printer to see if it will fit where you want it to. The smaller printers on the market can be quite lightweight and easy to move, but the larger models could require two people to safely handle. If you anticipate printing documents or photographs directly from your phone, find a printer that has an app to make it seamless for yourself. Those vacation pictures could be hanging on your wall in no time. Cost is obviously a big factor in making a decision for the best home printer, and the cost generally can be broken into the categories of upfront printer cost and the cost of the ink that it will need during its lifetime. To attain the best value for your purchase, it is wise to figure out how many sheets or photographs you might intend on printing with your new printer, and then finding out a good balance of unit cost and replacement ink costs. Some printers, like the HP OfficeJet 8710 All-In-One Wireless Printer, have taken this into account by offering HP Instant Ink, which can save the user up to 50 percent on their ink replacement costs with a subscription-type service. If you’re expecting to be a low-volume user, you might turn your sights to a more affordable printer like the Canon MX492 Wireless All-In-One, which will make a smaller dent when it comes to upfront cost — you can typically find this model for under $50. Once you’ve looked into the models available and what their pros and cons are, spend a few minutes looking up the cost of replacement ink and think about how much printing you’d need to do before paying that particular toner replacement cost. As a casual user at home, you will likely have such a low print volume in your day-to-day life that you don’t need to necessarily fret about the toner cost as much. A user that pumps out a high volume of documents will definitely want to keep ink costs in mind. If you plan on printing a high volume of documents, you should know that some printers like the Brother Color Laser 8360 even have the option to add an additional paper tray for those of you who really want to set it and forget it. This model would be ideal for someone printing a lot of business documents. For the Home Printer category, we analyzed 52 of the most popular reviews including reviews from PC Magazine, Trusted Reviews, Consumer Reports, PCVerge, Tom's Guide, Tech Gear Lab and more. The result is a ranking of the best Home Printers.